The benefits and risks of over-the-counter tests for infectious diseases including respiratory infections, Group A Streptococcus and certain sexually transmitted infections (STIs) was the topic of and FDA advisory committee meeting. The FDA said it has been approached by manufacturers wishing to market OTC tests for respiratory infections such as influenza, group A strep, and the STI pathogens Chlamydia trachomatis and Neisseria gonorrhoeae, and is seeking guidance from outside experts on what data it should require from applicants. Consumers can currently purchase diagnostic tests for influenza, group A strep and certain STIs mainly through online retailers, though none have been cleared or approved for OTC use. FDA staff recognized the potential public health benefits of OTC tests to diagnose certain infectious diseases. Greater access to testing may lead to a patient seeking earlier treatment, as well as the potential to decrease healthcare visits. The agency also pointed to risks of these tests -- mainly that false negative results may lead to exacerbation of symptoms, and false positive results may lead to unnecessary treatment. Over-the-counter testing also has the potential to affect surveillance activities, potentially underreporting the prevalence of infectious diseases. The new head of the FDA accepted some blame for the agency’s role in the growing opioid epidemic, while also chiding drug manufacturers for failing to take action. “We are all sinners,” said FDA Commissioner Robert Califf, MD. Califf spoke to provisional members of a newly formed committee charged with advising his agency on how best to balance the needs of legitimate pain patients with the societal issue of opioid addiction. Califf said he's spoken with R&D directors at most of the big drug companies and none have shown interest in investing in research on new non-addictive painkillers. He told the committee that when it comes time to make recommendations, “I don't think corporate responsibility should be off your list of things to emphasize. There's a lot of money being made on opioids, and my view is if you make a lot of money on something, you do have some social responsibility for casualties of your success when they occur." The Medicare annual wellness visit, which was mandated under the Affordable Care Act and includes an assessment of cognitive impairment, is underused, researchers reported. In an analysis of electronic health records (EHR) only about 30% of eligible Medicare population had an annual wellness visit in 2015, researchers report. Oh, Chiropractic is not included. 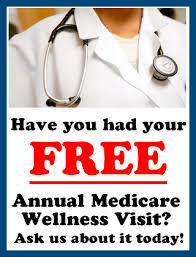 The Medicare “annual wellness visit" began in early 2011 as part of the Obama administration's healthcare reform. It gives physicians an opportunity to check patients' height, weight, and blood pressure, to review their medical history, and to establish a list of current medications. It also requires an assessment of cognition in order for physicians to be reimbursed. However, it has been nationally underutilized. The use of the annual wellness visit rose from 20% of eligible patients in 2011 to about 30% in 2015. Thanks to ACA member Brian, Berkey, DC, of Yorkville, Ill., whose patient became the 25,000th person to sign the Medicare Equality Petition on July 26 -- nearly a week earlier than our Aug. 1 goal. Encourage your patients to sign the petition at www.acatoday.org/equality. Our patients MUST take an active part in this petition drive and YOU must devise the means to make it happen. ACA has made it as simple as going to a web link. Are you promoting the Medicare Equality Petition drive in your office? Next goal on the horizon: 30,000 signatures by Labor Day. This report is part of a series on adverse events in health care settings, defined as harm resulting from medical care. Previous Office of the Inspector General (OIG) work identified harm rates of about 30 percent in both acute-care hospitals and skilled nursing facilities (SNF), with an attendant toll on patient health and taxpayers’ costs, the latter amounting to billions of dollars annually. This report extends that work by evaluating care provided in rehabilitation (rehab) hospitals. Rehab hospitals are post-acute providers that specialize in intensive rehabilitative care for patients recovering from illness, injury, or surgery. While in recent years stakeholders have paid considerable attention to patient safety in acute-care hospitals, less is known about adverse events in other health care settings. The OIG reviewed medical records to estimate the national incidence rate, preventability, and costs of adverse events in rehab hospitals. It reviewed a nationally representative sample of 417 Medicare beneficiaries discharged from rehab hospitals in March 2012 and found that an estimated 29 percent of Medicare beneficiaries experienced adverse or temporary harm events during their rehab hospital stays, resulting in temporary harm; prolonged stays or transfers to other hospitals; permanent harm; life-sustaining intervention; or death. This harm rate is in line with what we found in hospitals (27 percent) and in skilled nursing facilities (SNFs) (33 percent).